Better Than Never: a survey and a giveaway! a survey and a giveaway! Besides writing, running, camping, cooking, yoga, and dogs, blogging is one of my absolute favorite activities. And while I don't do this full time or get a paycheck from my Internet ramblings, I do take my writing here seriously. I want to write things that you read and enjoy, laugh with and feel inspired by. I think I do a pretty good job of that but, as in most things, I'd love to do better. I have some plans for 2011, including a redesign, better photography, recipes galore, and more breadth and depth to my posts. What exactly does this mean? You'll have to keep reading to find out! In the meantime, I would love some input from YOU - the readers, friends, commenters, subscribers, visitors, and lurkers that make The New Me a place for conversation, information, and inspiration. I've embedded a short and handy little survey below (thanks to the (neverhome)makers for suggesting Google docs!). Just click and fill out the boxes and hit submit when you're done! 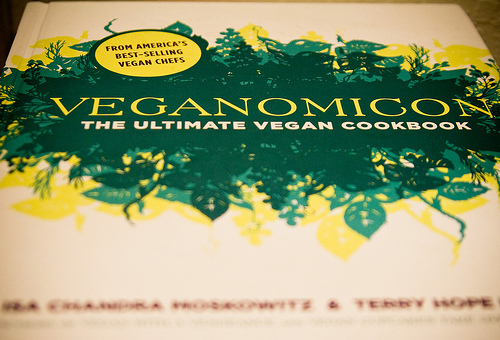 AND, after you've filled out the survey (they're anonymous) leave a comment on this post and you'll be entered to win a copy of my most favorite cookbook ever - Veganomicon!